WITH government literally in no-man’s land in the wake of the decision by the country’s military to intervene and “pacify” a potentially volatile situation which left government immobile, parastatal bosses have reportedly embarked on a looting spree in anticipation of a fresh start. Sources at the Zimbabwe National Roads Administration (Zinara), a State entity that has turned into a cash cow due to information systems managed by private entity Univern Enterprises, told NewsDay that senior executives had awarded themselves huge perks including holidays outside the country. “They are awarding themselves huge sums of money that is being doled out in cash. Univern’s systems have provided a massive conduit for income. They are watertight and Zinara is raking in the money that should go towards development of roads, but senior management thinks the transitional period between the fall of President Robert Mugabe and the new administration gives them the perfect chance to loot,” NewsDay heard. The military intervention that left Mugabe confined to his house and some members of his Cabinet in exile while others were taken into custody has hamstrung government with most officials unsure of what to do. 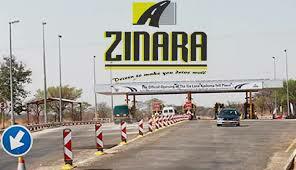 Middle management at Zinara have, according to the sources, been awarded a $5 000 yearly bonus, groceries worth thousands of dollars and holiday trips to a European destination of their choice. Senior executives, according to the insiders who spoke on condition they are not identified, will pocket a cool $16 000, groceries and holiday to destinations in Europe fully paid up including for their entourage. Zinara chief executive officer Nancy Masiiwa-Chamisa initially said she could not comment, but later claimed the bonuses were contractual. “Whatever it is individuals are getting is specified in their contracts. People agreed with the administration different contracts and whatever it is that is due to them will be given,” Masiiwa-Chamisa said without going into specifics. Zinara has been under the spotlight of late with some members of the senior management suspended before being brought back through the back-door by Transport minister Joram Gumbo. The roads administrator has continuously been investigated for a litany of misdemeanours with local authorities especially Harare complaining about lack of transparency in the allocation of revenue for road repairs.